Shingled Patio Covers are custom designed to blend seamlessly with your home. By mimic-ing the roofline of your home, your patio cover should appear to be an extension of your home, to provide shade and shelter for outdoor furniture or kitchens, as well as your family. Cedar posts are very popular, and can be wrapped from the bottom with brick or stone, for an added custom touch. 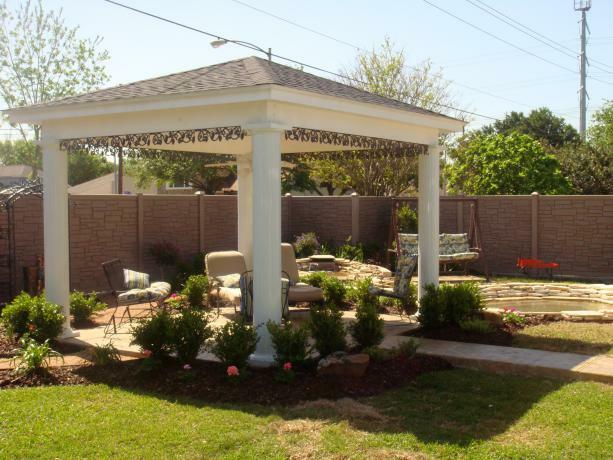 Lighting, ceiling fans, and electrical outlets are the finishing touches that make your backyard vacation complete.